Having guests over for Easter? Attending a potluck or an event where you need to bring a dish? Then take a look at some of the perfect Easter dishes from 400 Calories or Less ! The mushrooms can be prepped ahead of time and cooked when the guest arrive. Same with the zucchini pizzas. The spinach tarts can be prepared AND cooked the day ahead – they reheat great in the microwave or oven. The soup can be prepared ahead and kept warm in a crock pot set to the ‘warm’ setting. The ham can go in the oven early, taken out while you cook the appetizers and placed back in to finish up the cooking. And the potatoes can be done ahead and you keep them warm in a crock or reheat at the last minute. Keep the steamer out and reuse it to do the beans. The beans should be done at the last minute – but it is just a steaming and quick mix with the other ingredients before you bring them to the table. The 2 desserts can be prepared the day before. Happy Easter and Happy Cooking ! The holidays are a time to splurge…especially when it comes to food. But splurging does not necessarily mean going off the deep end 😉 Here is a suggested meal plan that will give you a complete meal for under 1000 calories. Most SINGLE entrees are that high or more in calories – but here I give you a complete meal !! 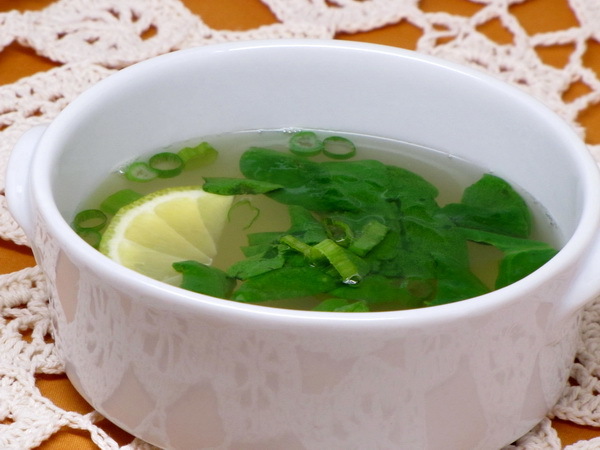 From soup to nuts, you can have soup, an appetizer, a main meal, 2 sides and 2 desserts for only 992 calories ! You just can’t beat that. 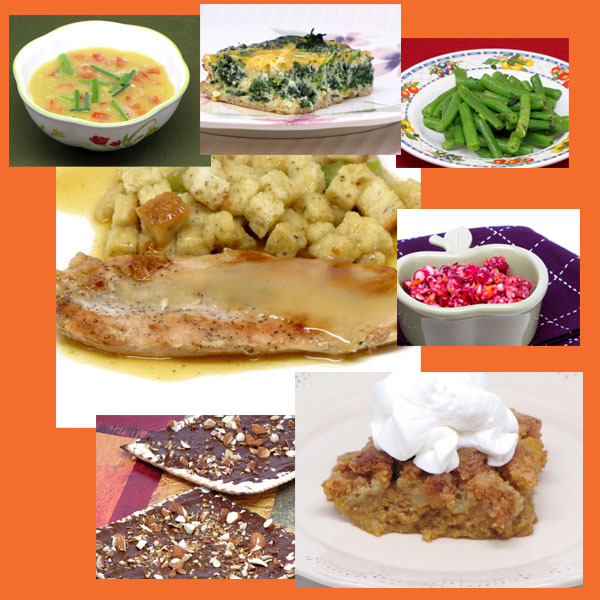 What do you think about a ‘soup to nuts’ Thanksgiving dinner for under 1000 calories ?? It makes me happy, happy, happy to know I can eat a FULL meal for much less than ONE typical entree dish. 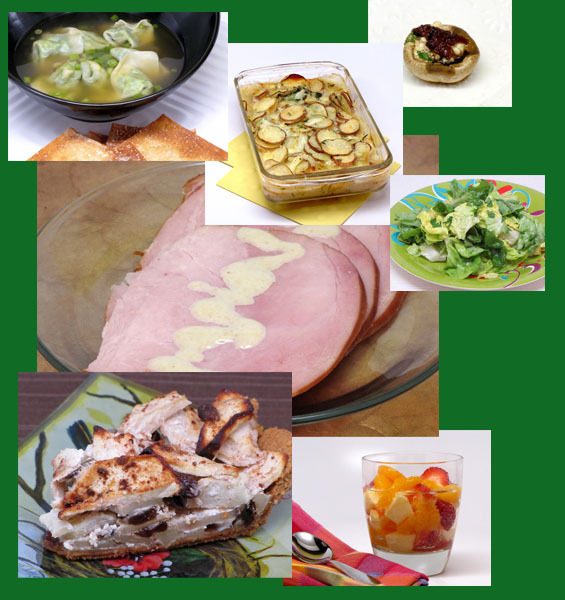 This meal includes soup, an appetizer, a main dish, 2 sides and 2 different desserts….all for 962 calories per serving. Now that makes me give thanks !! I wish you all a wonderful holiday ! !